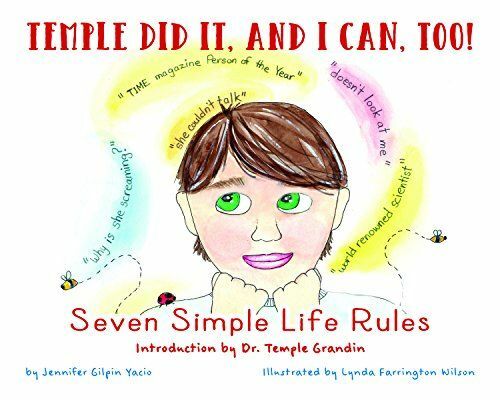 "Temple did it, and I can Too: Seven Simple Life Rules" by Jennifer Gilpin Yacio is a children’s picture book based on Temple Grandin’s seven life rules for growing up with autism. If you don't know who Dr Temple Grandin's is, she's arguably the leading authority on “autism on the inside”. An amazing and very knowledgeable woman whose story is told very well in the HBO biographical film “Temple Grandin” (2010). Temple’s seven life rules are very good ones which still hold up well today though I have often thought that sometimes her words betray her age, in particular her obvious dislike of computer games and her preference for outdoor activities. The book more or less tells a “lite” version of Temple’s story and at 25 pages, it's clearly aimed at young readers. There are two fonts used throughout the book, on for the story and the other for Temple’s words. When it comes to the rules, the book addresses the reader directly giving both the rule and advice for following them. Lynda Farrington Wilson’s illustrations take a little getting used to but suit the book perfectly. They are filled with interesting details and illustrate not only Temple’s life but also her dreams. 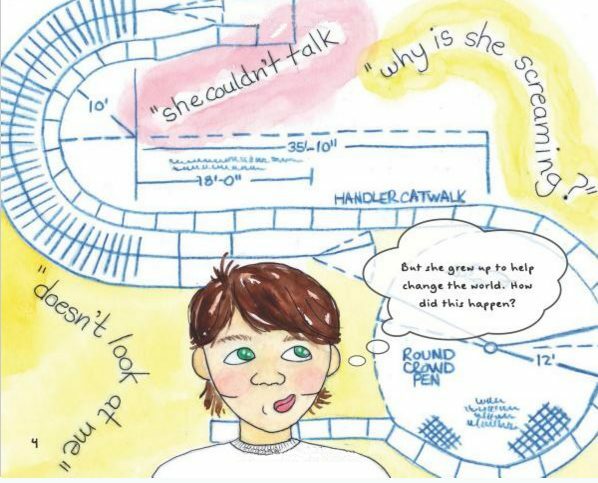 If you have children on the spectrum, you may recognise the level of detail in these drawings. At the end of the book, there are some questions aimed at getting the reader to think about how they can fit Temple’s rules into their life goals. All in all, this book serves as an excellent introduction to this extraordinary woman and is a great starting point for helping kids with autism to get their life goals and actions aligned. For those of us who are already very familiar with Temple’s work, it offers less (but we're clearly not the intended audience). I noticed in the end notes that the Author, Jennifer Gilpin Yacio has a brother on the spectrum and was a little disappointed to not read anything about his life in there. "Temple did it, and I can Too: Seven Simple Life Rules" by Jennifer Gilpin Yacio is available from Sensory World, Amazon (in Kindle and Hardcover formats) and the Book Depository.